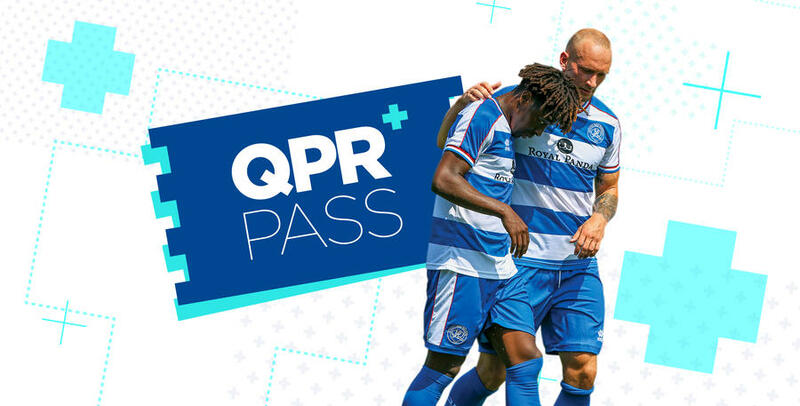 These terms and conditions (“Terms”) apply to the QPR+ Pass premium digital content service (“QPR+”) accessed through the Club official website (“Site”). These Terms apply to all use and access of QPR+, whether paid or provided on a free or promotional basis. Access to QPR+ is provided to you, the subscriber (“you”, “your”) on the basis that you pay the Fee (as per the methods detailed below) and accept the terms of this contract. The contract is a legal agreement and it sets out the rights and obligations of you and Queens Park Rangers FC (“Queens Park Rangers” “QPR”, “we”, “us”, “our”). 1.1. Once you have submitted your order to us, we will email you to confirm acceptance, at which point the contract between you and us will be formed. We may retain a copy of the contract details for our own records. If we cannot accept your order we will inform you by email. This may be because, for example (i) there has been a pricing error (see section 3) (ii) you failed to provide required information (see section 1.3) (iii) you have tried to order a subscription package which is not available in your territory or for which you are otherwise not eligible (iv) there has been an error in your initial payment of the subscription fee or (v) we have been affected by a recent unforeseen event which means QPR+ cannot be made available in whole or part. 1.2.3. the information which you provide is true, accurate and complete in all respects at that time. You must also notify us immediately of any changes to your information during your subscription by either updating the details in the My Account page of the Site or emailing [email protected]. As above, changes to your located territory may affect content access. 1.3. If we find that you have provided incorrect or inadequate information, your order may not be accepted and/or we may ask you to provide the correct and complete information. If you still fail to do so within a reasonable time, we may reject your order or end the contract (in the case of your error being uncovered after we have already accepted your order – see section 8). We will not be responsible for delay or failure in providing you access to all or part of QPR+ if this is caused by you failing to provide us with the information needed and/or updating us of material changes to your information. 1.5. On registration you will be required to enter a user name and password. You must keep the password secure and not disclose it to any other person. Your right to use QPR+ is personal to you and is limited to viewing on one device at any time. If your password becomes known by a third party, you must immediately change your password by logging into the “My Account”. We are not liable for any loss or damage arising from your failure to comply with this obligation. 2.1. We provide you with access to various types of digital content within QPR+, as set out for the subscription package you selected on your order. This may include, for example, live audio/video coverage of matches. Your access is not exclusive (others can access the content too), may be suspended and/or terminated in accordance with these Terms, and may depend on the territory in which you are located or other applicable eligibility criteria set out in the order process. 2.2. QPR+ content includes certain video and audio footage, photographs, text images, statistics, logos and other media and intellectual property related to the Club, the English Football League, Football Association, Premier League, us and the respective content licensees of those parties. All such content, design, text, graphics, footage, materials and their selection or arrangement are the intellectual property rights (including, amongst other things) copyright of us, the above parties and/or the respective licensees. You will not own any of the content. 2.4. QPR+ is a content access service only. We are not providing, and are not responsible for any problems caused by your computer hardware, computer operating systems, internet connection or other software installed on your computer (and/or any traders you engage with in respect of such resources). 2.5. QPR+ has not been developed to meet your individual needs. Please check that facilities and functions of QPR+ (as described on the Site) meet your requirements. 2.7.1. Site (Windows): 2.33GHz or faster x86-compatible processor, or Intel® Atom™ 1.6GHz or faster processor for netbooks; 32- and 64-bit (unless noted):, Windows 7, Windows 8.1, Windows 10 and later new Windows releases; latest versions of Microsoft Internet Explorer, Microsoft Edge, Mozilla Firefox and Google Chrome; 512MB of RAM (1GB of RAM recommended for netbooks); 128MB of graphics memory. 2.7.3. App: Android or iPhone/iPad device; minimum of 70mb available memory for App installation; iOS 8.0 or Android 4.1 (or above) operating system. 2.8.10. access, view or use QPR+ in circumstances where members of the public can view the content accessible via your account (whether simultaneously or not) or authorise any other person to do so. 2.8.11. Use a VPN (Virtual Private Network) service or similar to mask or otherwise hide your location for the purposes of watching content in a country or territory where it is blocked for rights reasons. 3.1.5. implement other minor changes which would not reasonably be likely to cause you a material detriment in your use of QPR+ nor increase the price payable by you in your current subscription, or which we reasonably believe to be for the benefit of users. 3.2.2. detrimental changes to the nature of or locations in which certain types of content relevant to your QPR+ subscription are available. This is sometimes required to reflect changes in football (soccer) league/teams appointed broadcasters from time to time. 3.3. We may update the underlying software relating to QPR+, or require you to implement updates from time to time to continue accessing QPR+. For example, as time goes on you may need to ensure your system remains compatible with technical requirements (see section 2). 4.2. Except in the case of obvious error the Fee is as set out on the Site at the time of your application for an QPR+ subscription. If we accept and process your order where a price error is obvious and unmistakeable and could reasonably have been recognised as such by you, we may end the contract and refund you any sums paid. 4.4. You are responsible for any other additional local taxes or duties applicable to the territory in which you reside or otherwise access QPR+ from. 4.6.4. Voucher. From time to time we or the Club may issue vouchers which will provide access to QPR+ in accordance with the terms set out in the vouchers. Any additional terms and conditions applicable to the access provided by the voucher will be set out on the voucher. In the event of conflict with these Terms, the terms of the voucher will take priority. 5.3. Monthly Subscriptions: We will not normally send you reminders of renewal, unless there are changes in your renewal period you need to be aware of (see section 3 above). You can unsubscribe from QPR+ with effect from the end of your monthly Subscription Period (or relevant renewal month) by contacting us at [email protected] not less than 5 days prior to the date of renewal. Your subscription will continue until the end of the month in which you notify us in accordance with this section and you will continue to be charged for that month. 5.5. Unless you have opted to unsubscribe from QPR+ not less than 5 days prior to the date of renewal your subscription will be automatically renewed. You will be deemed to have accepted the renewal on the terms and basis set out in the reminder (or, for monthly subscriptions where we have not notified you in advance of changes, on the same terms as your previous subscription). You will be charged in accordance with the same timings as under the payment plan applicable to your immediately preceding Subscription Period, unless otherwise notified to you as part of any reminder above. 5.6. If you have unsubscribed from QPR+ rather than renewing and you previously paid by direct debit, you are responsible for ensuring that you cancel your direct debit through your bank in order to prevent any future payments being taken by us. Save for returning payments received by us in error on request from you, we will not accept any liability for payments taken from your bank account as a result of your failure to cancel the direct debit instruction at your bank, including (for example only) interests charges and other fees. 7.1.5. is caused by your failure to follow any reasonable, clear and easy to follow instructions we have made known to you relating to your use of QPR+. 7.1.6.2. relating to any business, including (amongst other things) loss of profits, loss of business, loss opportunity and/or business interruption. QPR+ is made available for private and domestic purposes only. 7.2. We do not limit or exclude our liability for death or personal injury resulting from our negligence; fraud; or for breach of your mandatory legal rights (for example, including our liability in UK consumer contract law if QPR+ digital content is not of satisfactory quality, fit for purpose, in compliance with its description or we are found to not have rights to provide such content). You should seek your own legal advice in relation to any such rights at law. 8.2. In addition we may close QPR+ on service of not less than 30 days’ notice. If this occurs part way through your subscription, you will receive a pro-rata refund of any Fees you have already paid relating to the period of your current Subscription Period remaining as at the date of termination. From time to time, QPR+ may be taken down and your access to all or part of it suspended in order for work to be carried out relating to the upgrading or maintenance as necessary for the provision of QPR+. We shall give as much notice as is reasonable in the circumstances and shall endeavour to ensure that such works are carried out as expeditiously as possible in the circumstances, at times which minimise inconvenience to you. This may not be possible in cases of emergency to rectify significant faults, prevent further risk to you, other users or QPR+ technology. 10.1. Any notices we send will be sent to the email address you supply during the registration process. We ask that any notices you send to us are sent by email to [email protected]. Notices will be deemed to have been delivered at the time and date of sending of the email, which time and date are specified in the email.